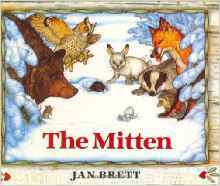 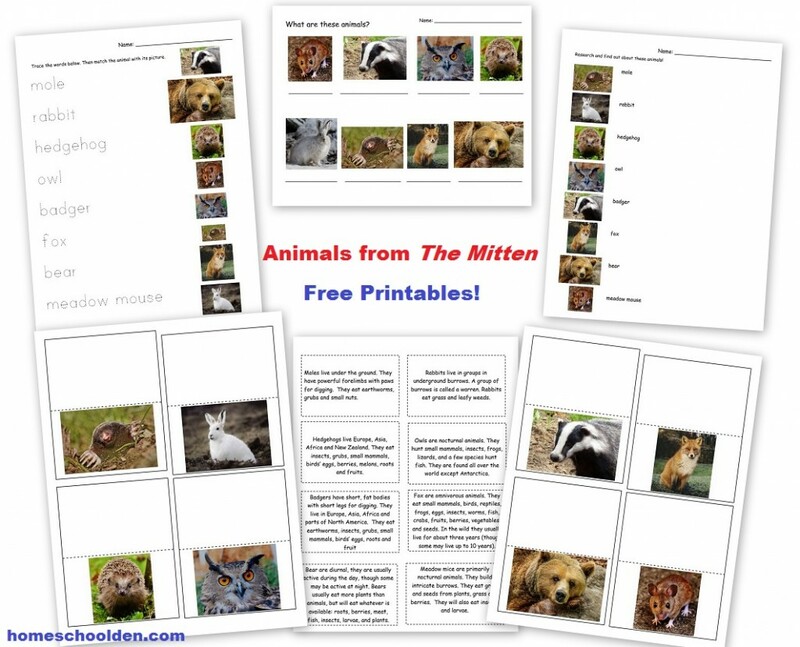 One page has the eight animals featured in this story and a space for the child write in the name of the animal: mole, rabbit, hedgehog, owl, badger, fox, bear, and meadow mouse. 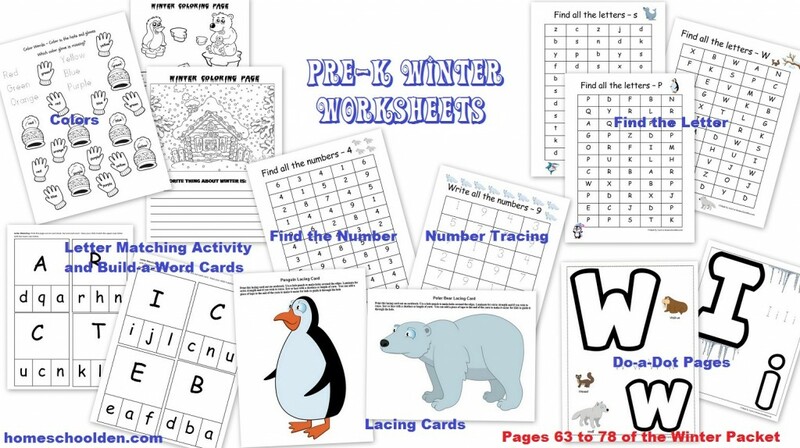 There is a tracing and matching worksheet. 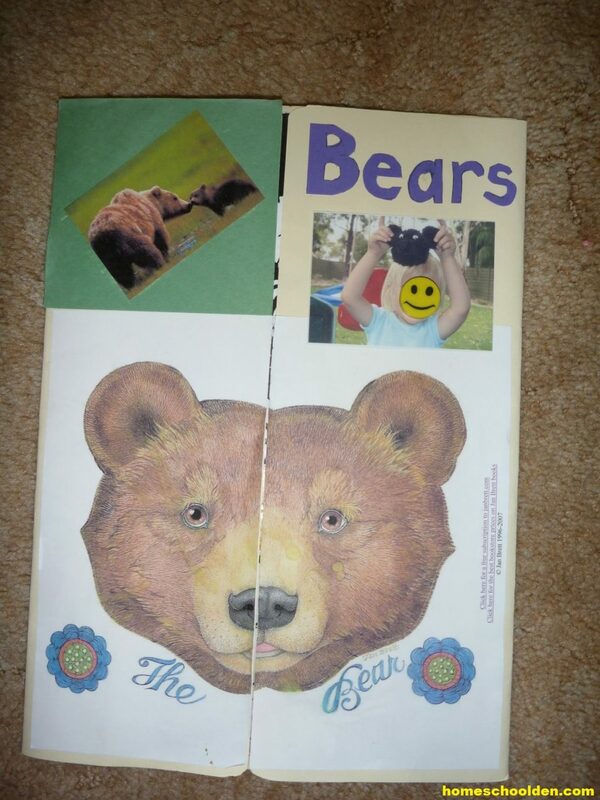 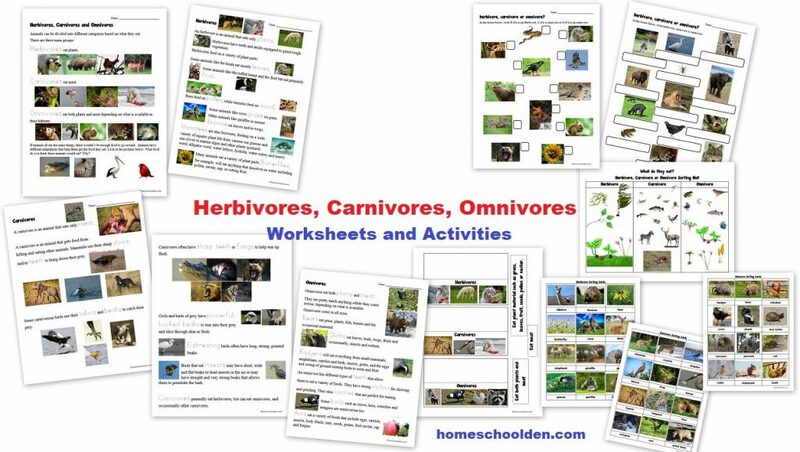 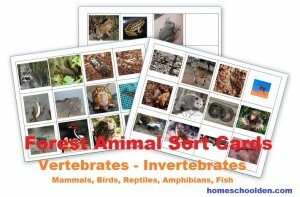 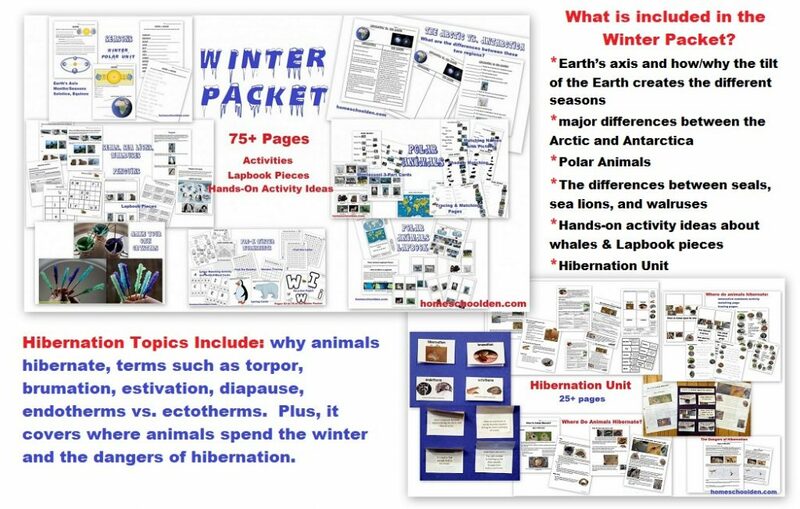 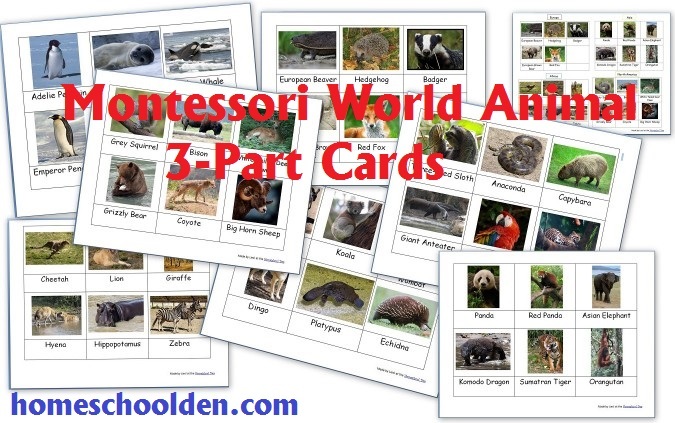 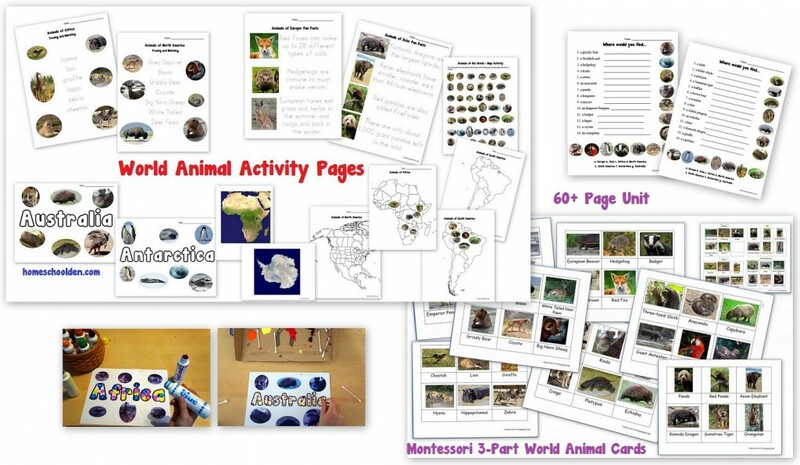 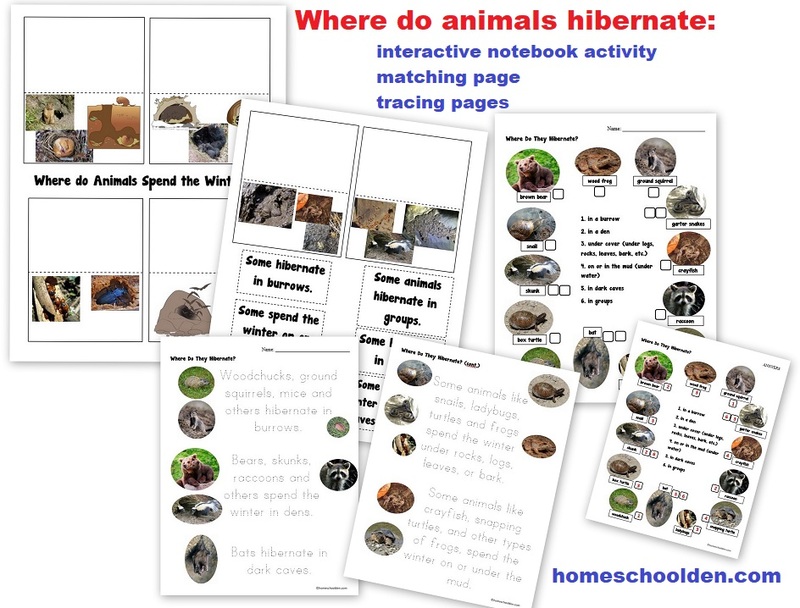 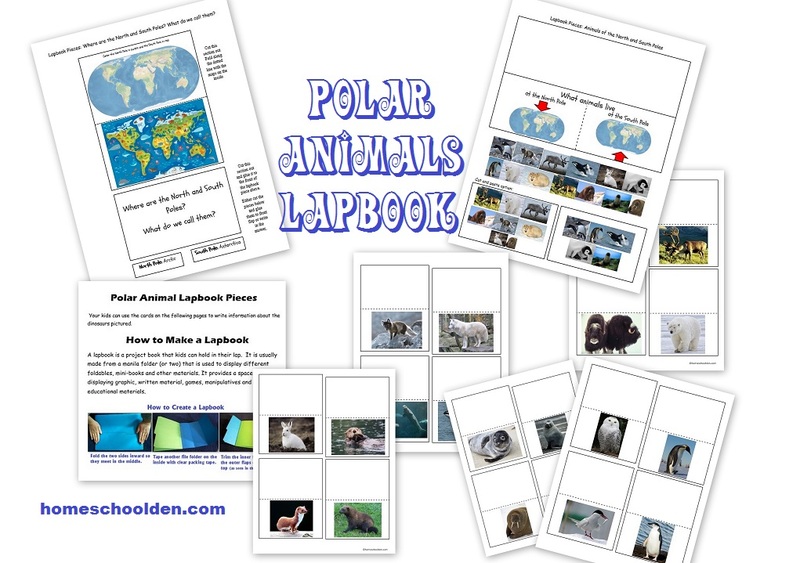 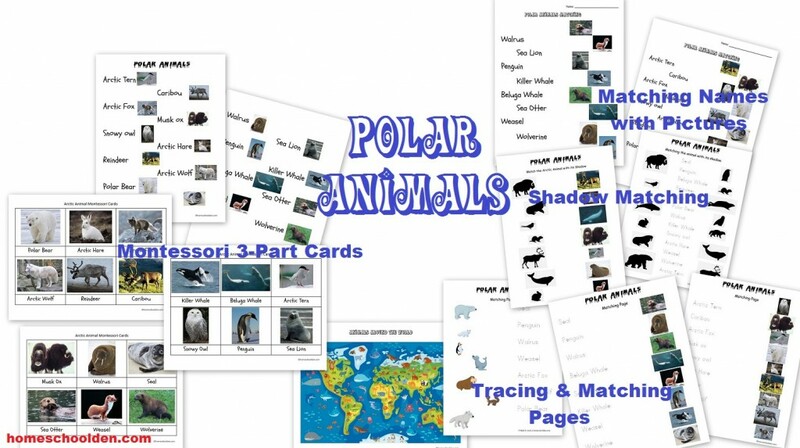 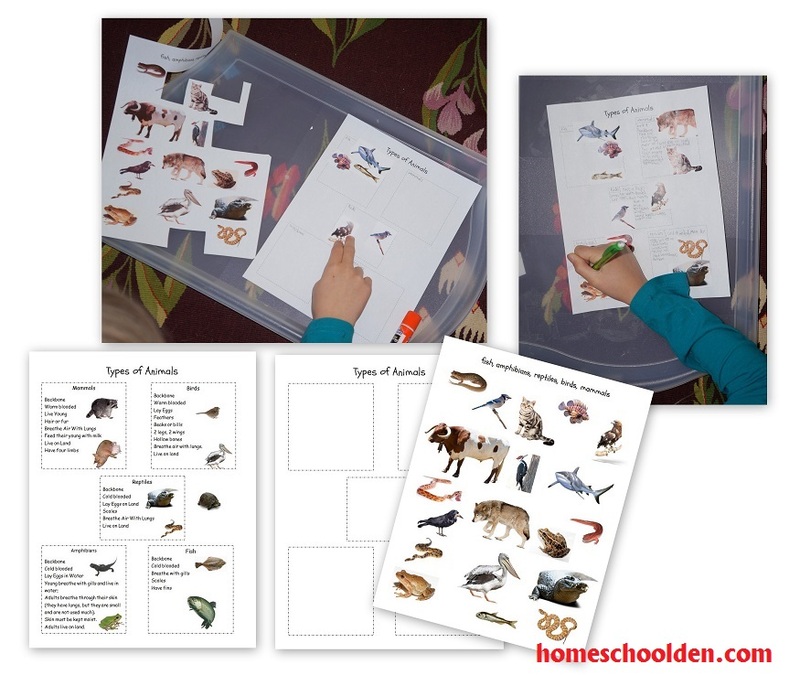 Another page has space for kids to write in what they learn about these animals. 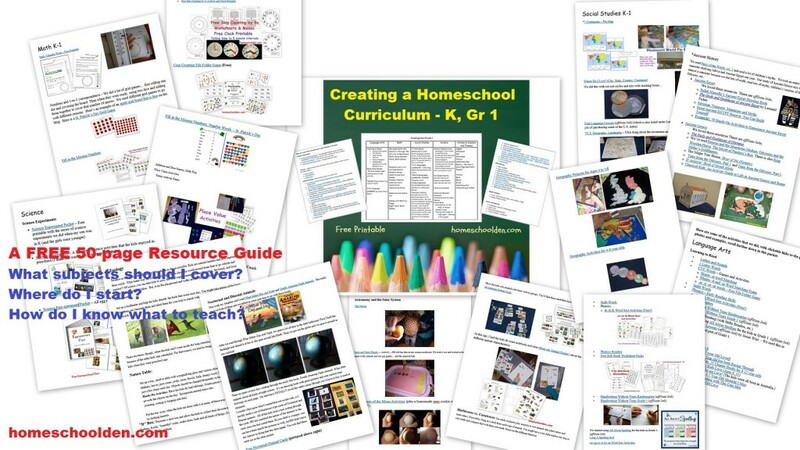 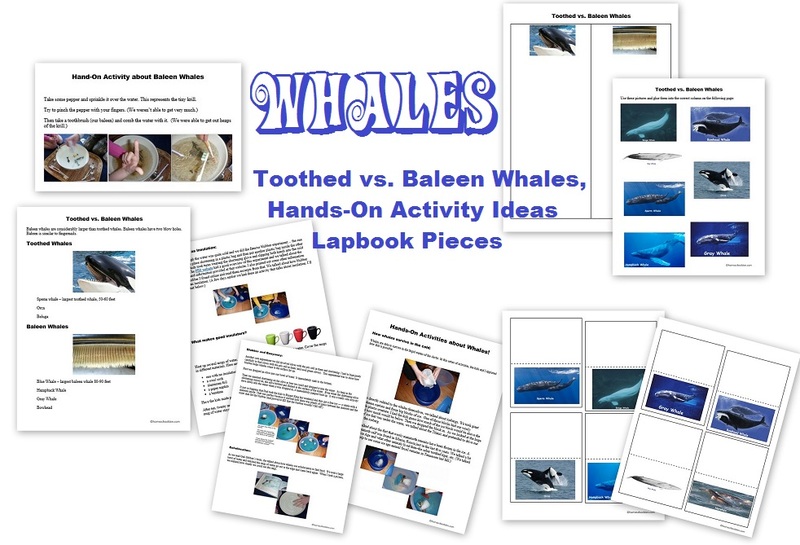 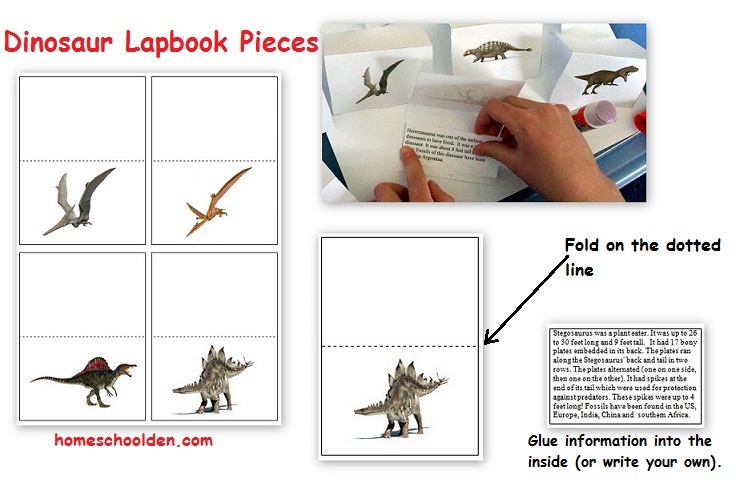 Finally, there are some lapbook pieces along with some basic information cards that the kids can glue into the center of the lapbook piece. 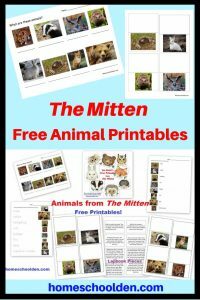 These are all FREE to download! 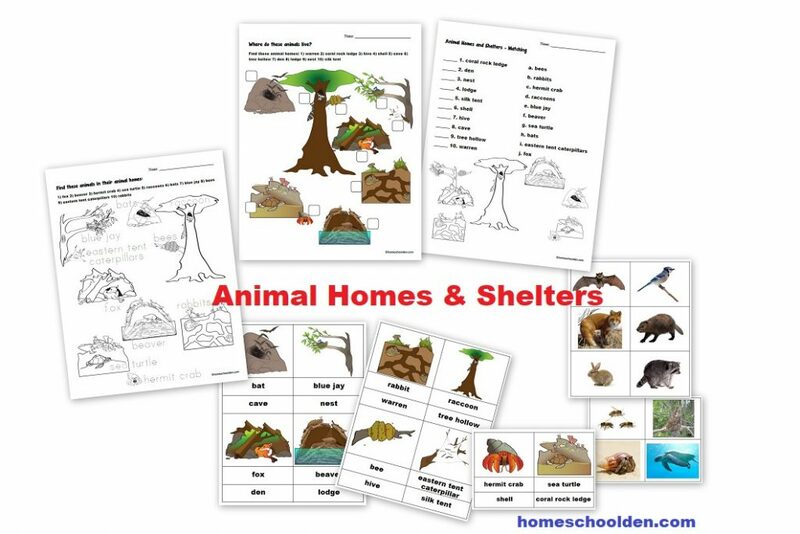 Let me know if they come in useful! 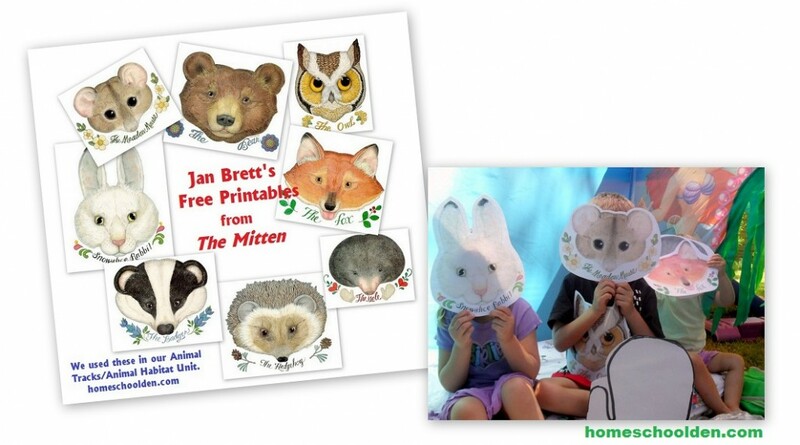 If you want to see some of The Mitten (affiliate link) activities we did when my kids were little (including the link to those beautiful masks in the photo below), you can visit this post: Forest Biome: The Mitten Activities. 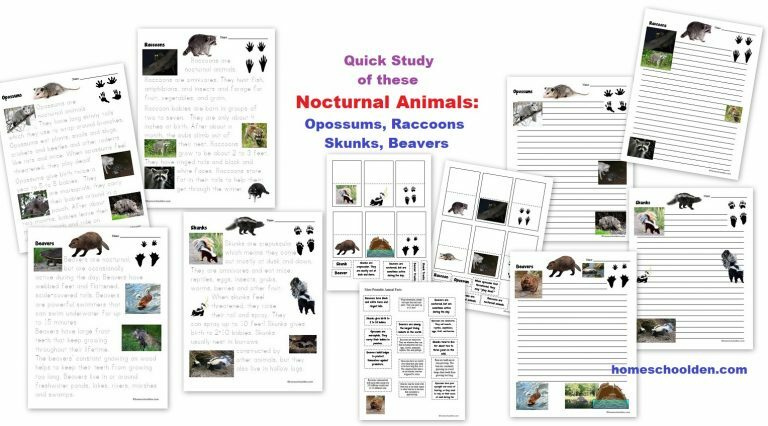 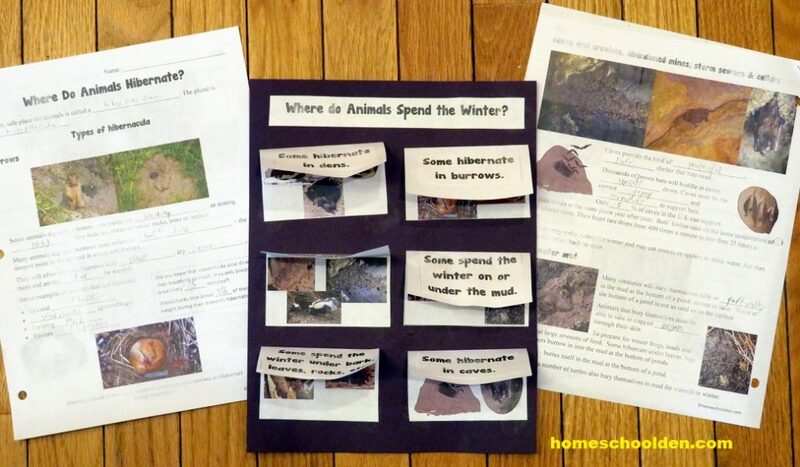 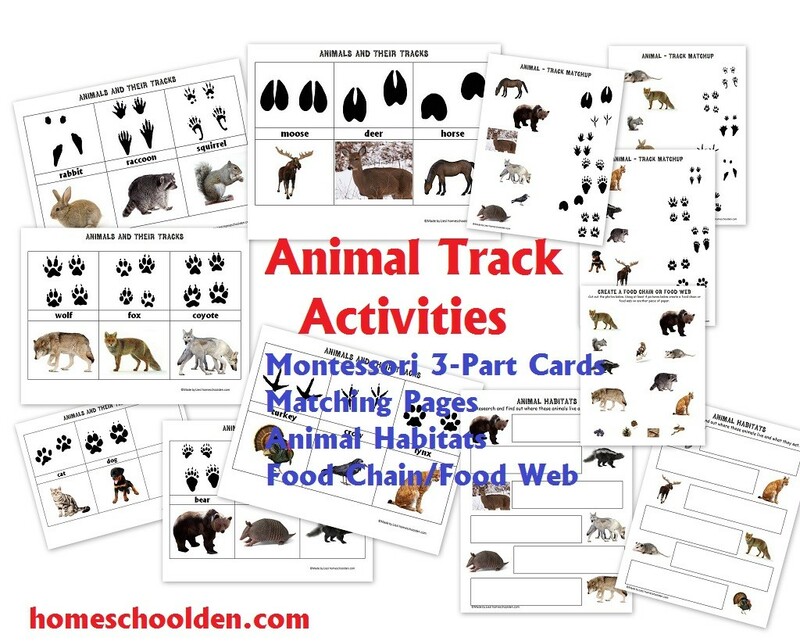 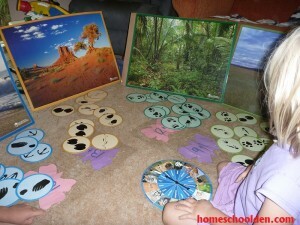 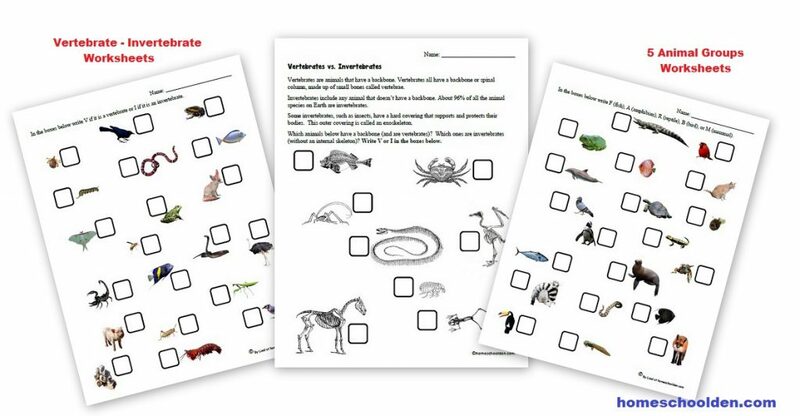 The animal life cycles – This packet helps kids become familiar with the different stages in the life cycles of the chicken, sea turtle, frog, mosquito, butterfly, dragonfly, bee, mouse, and ladybug. 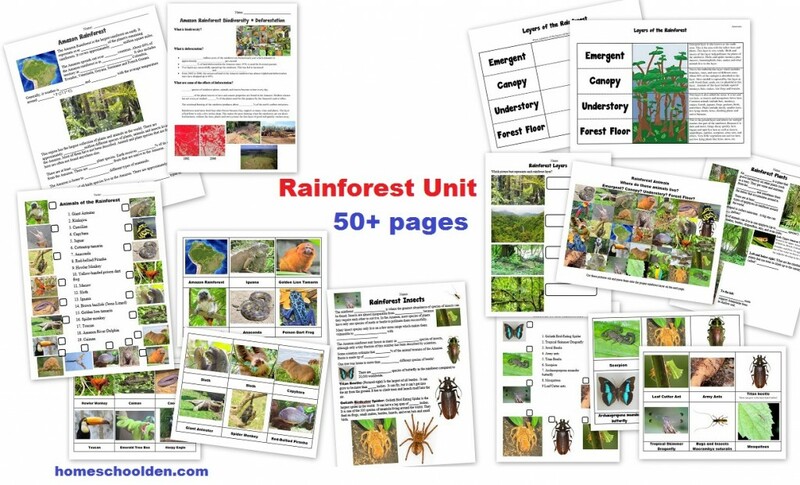 The Rainforest – Learn about all about the rainforest, animals and insects of the rainforest and more! 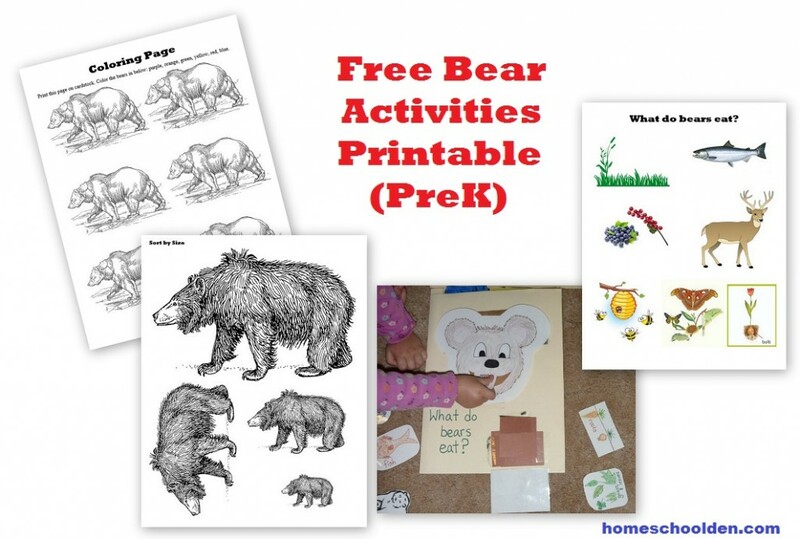 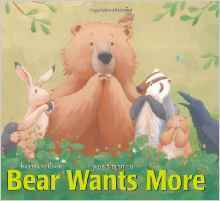 Another book by the same author, Bear Wants More (affiliate link), shows how much Bear eats after waking up from his long hibernation. 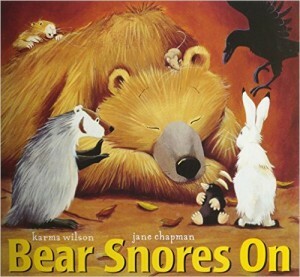 That’s about it! 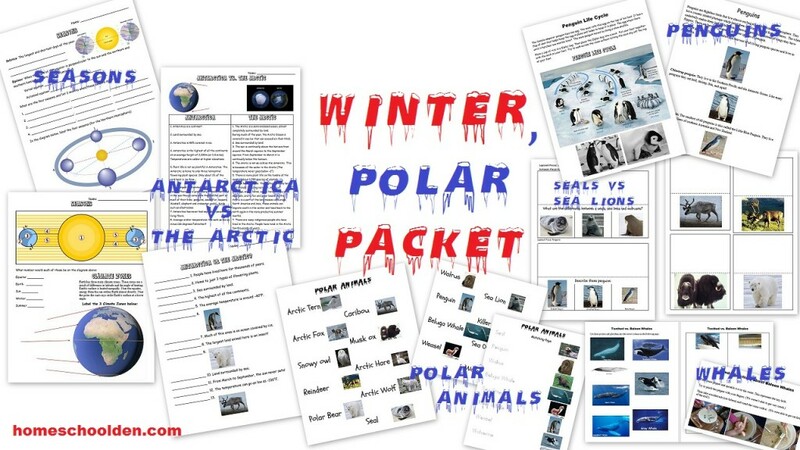 Hope your kids have fun! 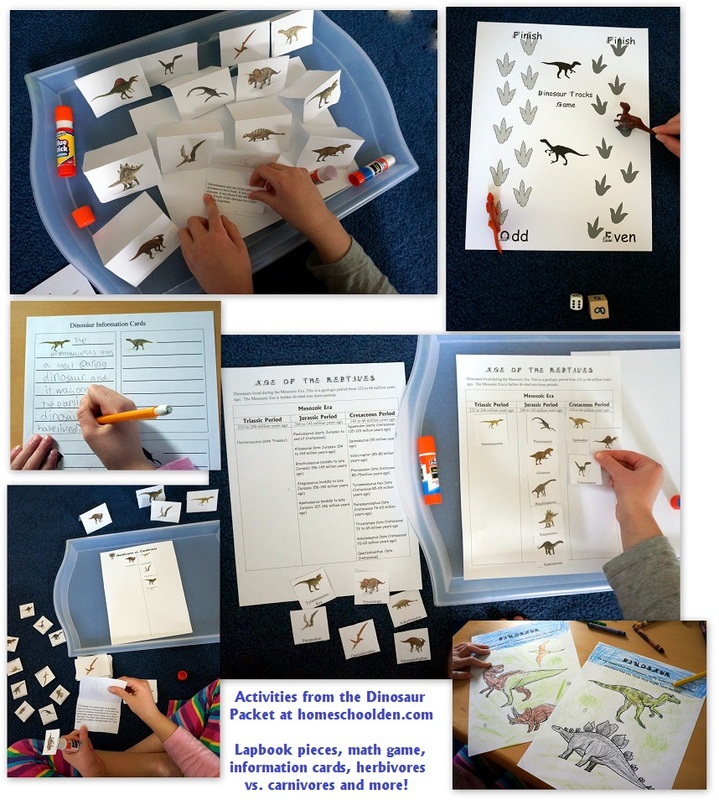 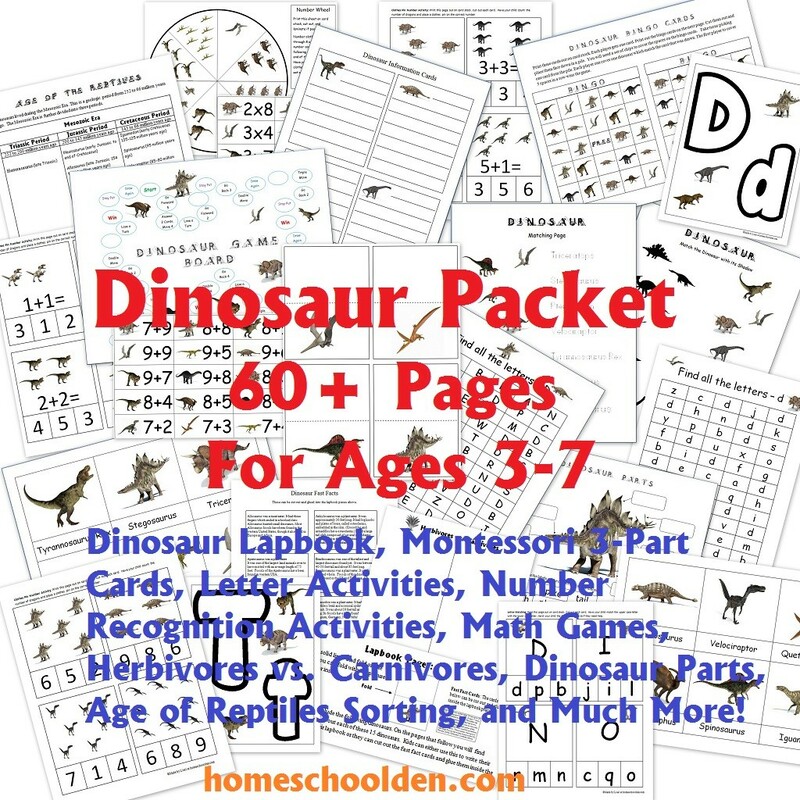 We also have a huge 60+ page Dinosaur Packet for 3 to 7 year olds! 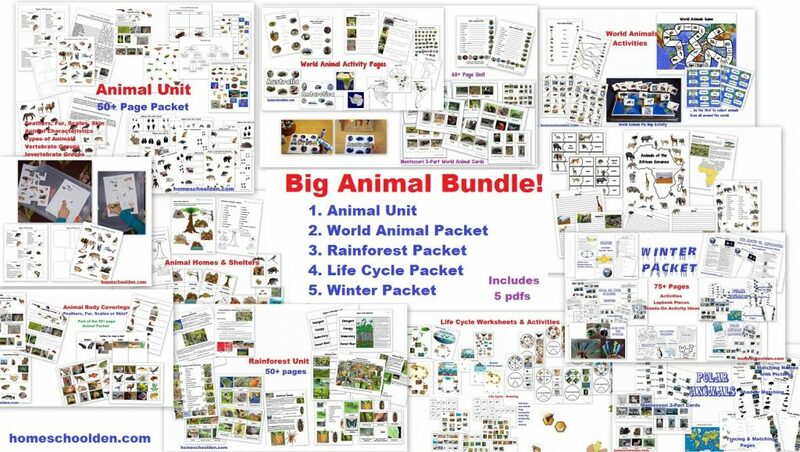 Visit this post – BIG Animal Bundle or Our Store for more details. 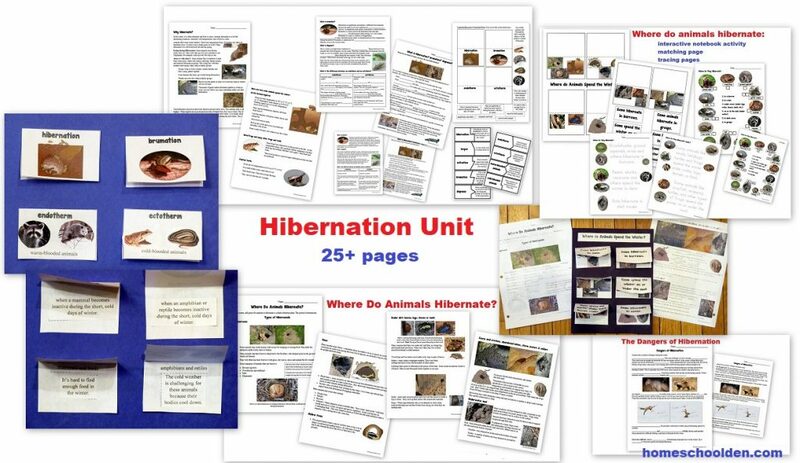 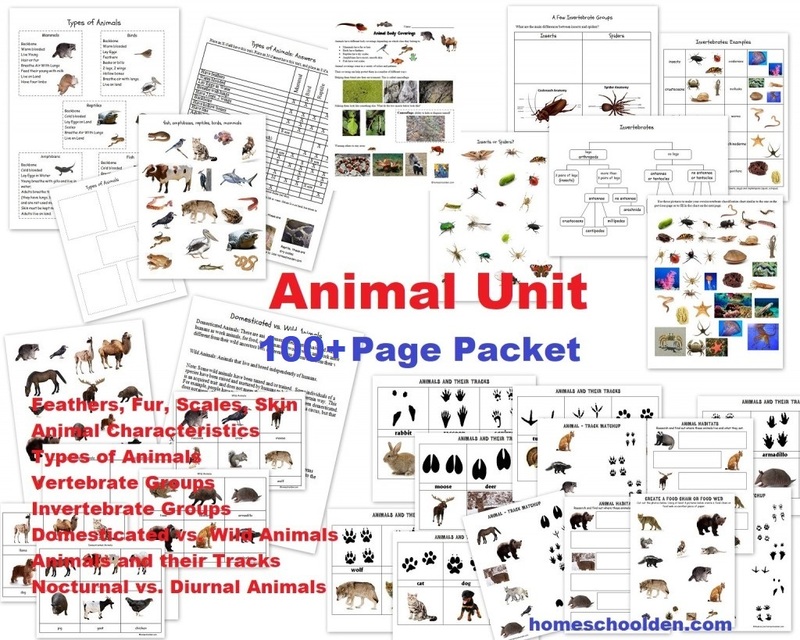 Animal Unit: You might be interested in our animal unit which covers the 5 vertebrate groups and their characteristics, feather, fur or scales, the main invertebrate groups, insects vs. spiders, animal tracks, animal homes and shelters and more!